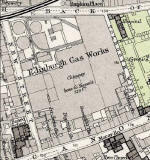 Several Edinburgh University buildings are located in the South Side of Edinburgh. 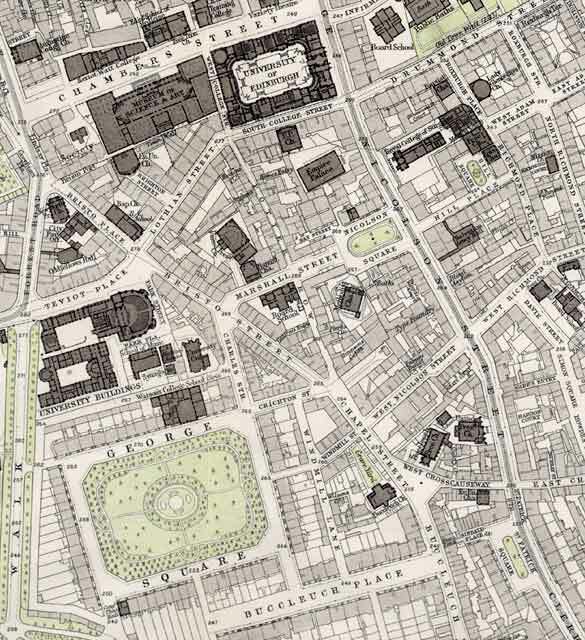 These include buildings around the old residential square, George Square in the lower-left corner of this map. The Museum of Science & Art can be seen near the upper-left corner of this view. This has now become the Royal Museum of Scotland. 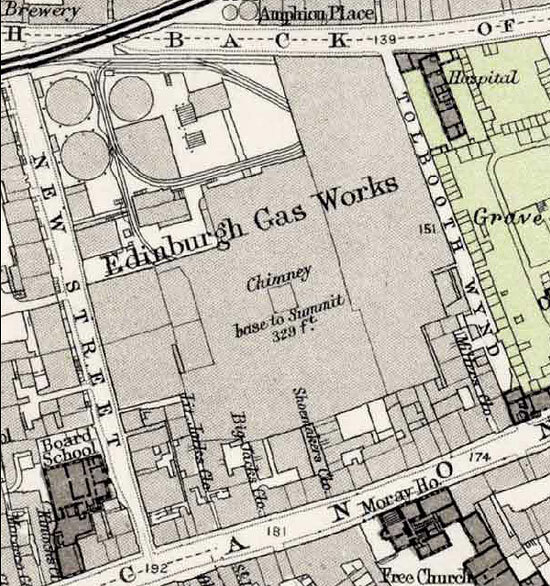 A Museum of Scotland has now been built to the west of it in Chambers Street.